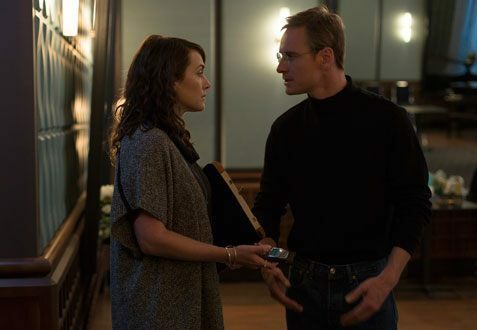 There is no question that director Danny Boyle’s “Steve Jobs” is an impressive, and at times, engrossing piece of cinema. Aaron Sorkin’s screenplay, the performances, the photography… All top notch. 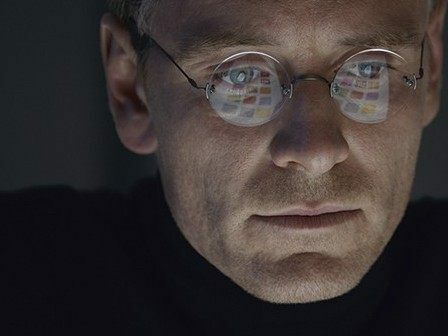 For 122 minutes “Steve Jobs” captured my attention, made me want to know what would happen next, and offered up its share of impressive moments. The only thing missing was an actual point, a reason for being. Somewhere in the gargantuan pile of biographies I intend to read before I die is this. Steve Jobs was a world changer, a man who put a computer in everyone’s home, and then through the iPhone, put it in everyone’s pocket. This revolution changed everything: technology, information, the music business, the way we live our lives and communicate. In the department of changing everything forever, Steve Jobs stands beside Henry Ford and Thomas Edison. If only “Steve Jobs” was as interested in this as the rest of the world is. Instead what we get is the movie Aaron Sorkin wanted to see, which has nothing to do with the man himself. Sorkin’s rigidly structured story plays out in three acts, all taking place in the forty-or-so minutes prior to Jobs (a commanding Michael Fassbender) performing one of his legendary product introductions. Alone on a big stage, before a house packed with computer nerds and tech journalists, Jobs would introduce his latest world-changing device. Backstage, according to the movie at least, a real soap opera unfolded. 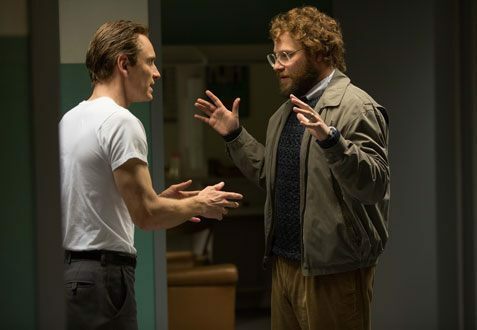 The film opens in 1984 when Jobs is already worth a half-billion dollars and a 29 year-old legend in the tech world. Prior to introducing what will be his first debacle, the Macintosh computer, the cold, robotic control freak is all Id as he alternately threatens, cajoles, and dominates those around him to fix last minute tech and public relations problems that threaten the perfection of his presentation. 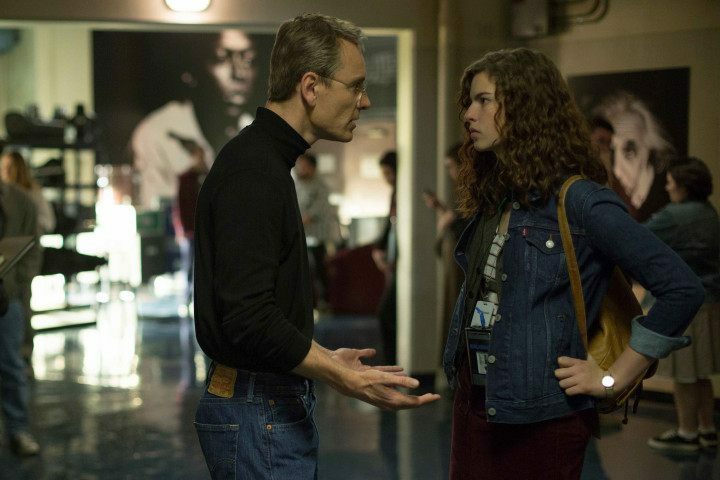 Apple’s marketing director, Joanna Hoffman (Kate Winslet, slipping in and out of an Eastern European accent), doubles as her employer’s personal assistant and Jiminy Cricket, the one always appealing to his sliver of humanity, primarily when it comes to Lisa, the five-year-old illegitimate daughter of Jobs and his former-girlfriend Chrisann Brennan. Even though she is, even though he knows she is, even though she knows he is, even though a court has ordered him to pay support, Jobs refuses to acknowledge Lisa as his daughter; not just emotionally but financially. Jobs pays the court ordered support, nothing more, and the result is that a gajillionaire’s own child is on the welfare rolls. As the clock ticks to presentation time, Jobs also interacts with put upon computer engineer Andy Hertzfeld (Michael Stuhlbarg), Apple co-founder Steve Wozniak (Seth Rogen), and Apple board chairman/father figure John Sculley (Jeff Daniels). Four year later, after the Macintosh results in the board booting Jobs from Apple, Jobs is now backstage preparing to introduce his second debacle, the NeXT computer. A decade later, a near-bankrupt Apple has brought Jobs back and he’s about to save the company with the iMac. In both instances, and again for about 40 minutes, he interacts with all the same people, and it is through these conversations and quick flashbacks that we get an anemic, Wikipedia-style tutorial of, you know, the interesting stuff: the creation of the home computer and the founding of Apple. Everything other than the father-daughter story is subplot, and this wouldn’t be terribly interesting even if it were true. But it’s not true. Sorkin made it all up. Also fabricated is the central conflict between Jobs and Wozniak. Missing is Jobs’ legendary ability to inspire greatness from those around him. Jobs was no angel, few successful people are, but this still feels like a smear job. Basically, Sorkin used the name Steve Jobs and the historical beats of the man’s life to tell a fictional story about a bunch of rich white people, their personal problems and eccentricities and hang-ups. Granted, it’s entertaining but who cares? Framing a biopic around your subject’s fatal flaw (alcoholism, terrible choice in men, drug addiction) is a lazy conceit to begin with. It shortchanges the audience and the subject, reducing a full person and their genius to melodrama. To invent that fatal flaw and to short change a world-changer like Steve Jobs, and an audience eager to understand how he changed the world, is a massive waste of everyone’s time and talent.